I run 225ft right now. I cut down a little this year. Did you try the 5-8? Check the suction on the injector. I have a feeling it will pull fine at 250ft. I def had to spike the mix more but man it was effective. I dont think 25ft of more line will matter. I dont know for sure because Im only at 225ft right now. Quick apologies here I’m high strung and a this new business has me burning all three ends of the candle!!! Yes with elemanator. I can’t answer for other surfactants. If it has barlox or amonoyx lo in it you are ok.
Why not mix what you need when you need it? I’m a solo operator and it works just fine for me. Lol. Bob carries the three way because I sent him one. 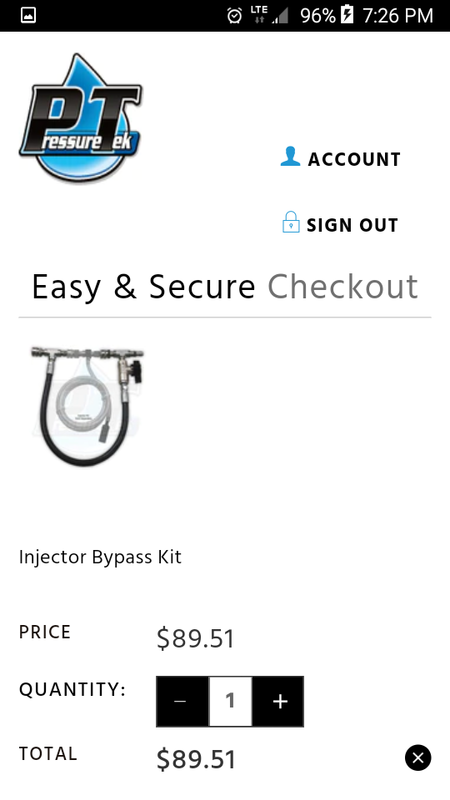 I’ve tried pretty much every injector over the years. One or 2 might work at 250ft occasionally but I need it to work every time, on every time, on every truck on every machine. I’m ok with what I have. System works. I found those valves from US Plastics about 15 years ago. Before that it was brass that lasted a couple of weeks. One more question please,what’s you’re on this. 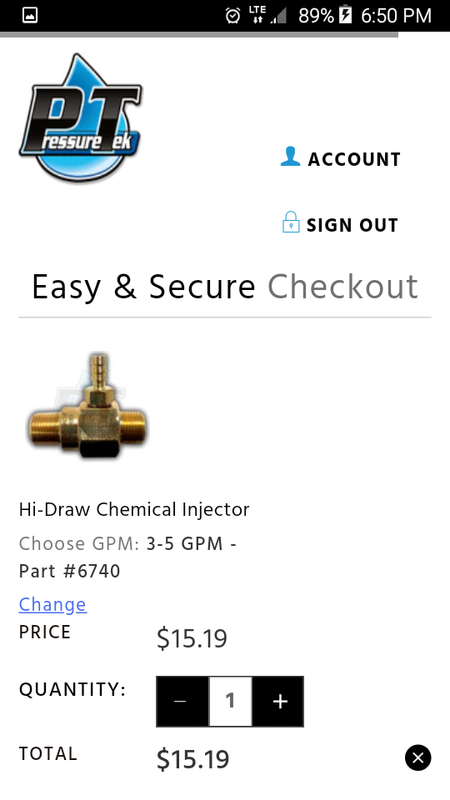 I’m thinking it be beneficial for more gpm and less were on the injector orfice? The amount of gpm gained back from that is about 0.05 gpms. Will not make or break the day at all.